If you want to learn more about us, you’re in the right place. 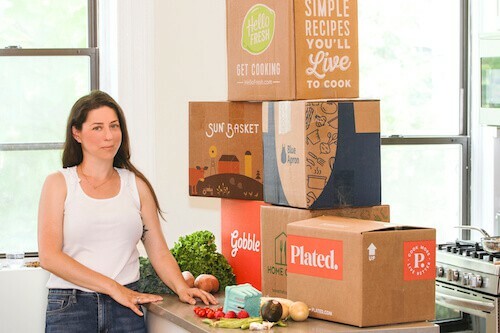 Read to learn how we managed to deliver the best meal kit reviews. My name is Lee and I live in Brooklyn with my husband and two amazing little girls. For as long as I can remember, I have had a great passion for cooking and good food. I guess you can say that I am a ‘foodie’ – my favorite thing to do is to spend hours a day cooking for my family and friends. I’m well known among my friend as the ‘Go-to person’ when they are looking for recommendations on recipes and cookware. I am always on the lookout for new flavors, spices, and techniques to continually add to my kitchen. The meal kit industry is constantly changing and due to me having years of experience of using meal kit companies, I decided that it was perfect timing to share my extensive experience and valuable input on the various meal kit companies out there by creating this website. I teamed up with few other foodies to create www.themealkitreview.com. Our mission is to help you start the process of using the services of meal kit companies. Included on our website will be our honest and unbiased opinions of the individual meal kits of each company. We will look at the recipes, the ingredients, any challenges we faced and of course the taste of each dish. We will let you know what the packaging is like and how unpacking each delivery varies from company to company. We will also share additional articles covering the meal kit industry and lots of kitchen, food and cooking tips that we have discovered along the way. Everything on our website will be aimed at helping you broaden your knowledge and experiences in the kitchen. I hope you will find this information helpful in making your life in the kitchen easier, more exciting and ultimately delicious! I would love to hear from you so feel free to reach out via the contact us page with any tips, suggestions or comments.